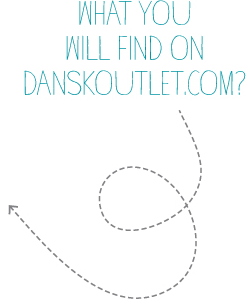 DanskoOutlet.com is the authorized outlet for Dansko seconds or discontinued styles. 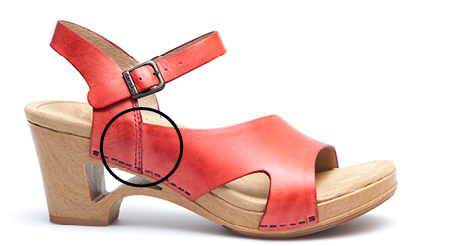 Dansko factory seconds are made in exactly the same way as first-quality merchandise but have cosmetic flaws. 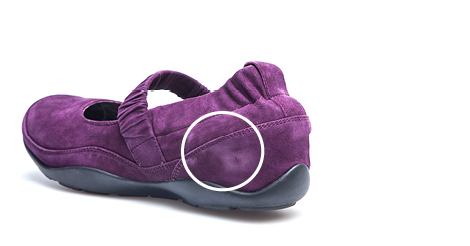 Possible cosmetic imperfections range from creases, stretch marks or natural color variations to scuffs, cuts or nicks that occasionally occur during the manufacturing process. Click on the images below to see examples of possible flaws. The images below serve only to illustrate the possible cosmetic flaws - not all styles are currently available on DanskoOutlet.com. Click on a thumbnail for a detailed view. Our hand burnishing technique used to finish a shoe can cause color variation. The by product of this hand-crafted process can result in burnishing too much which causes a dark discoloration. 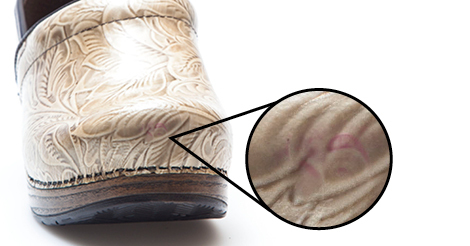 Loose grain in leather can cause wrinkles, a natural characteristic which is not seen in imitation leather. 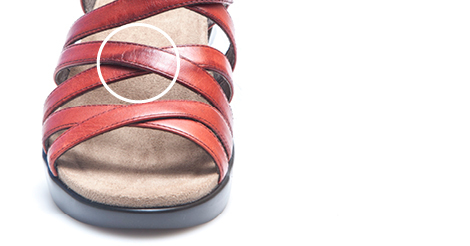 The nap of the suede is slightly discolored. 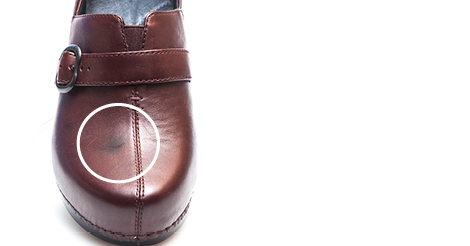 A wrinkle has caused a natural discoloration in the leather caused by cosmetic flaws. A discoloration in the leather has occurred. 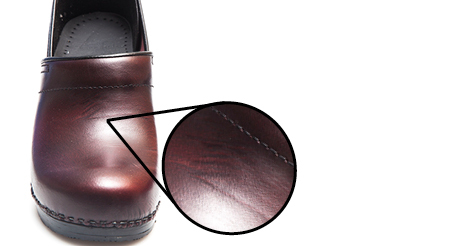 A discoloration on the leather has occurred during the shoemaking process. How often are the footwear styles updated on the DanskoOutlet.com website? Styles on the website are updated at least three times a week: Monday, Wednesday and Friday. Is there a way to know the flaw on the shoe that I want to purchase before I order? Unfortunately no, however, our Quality Assurance team visually inspects all footwear ordered from DanskoOutlet.com before shipment. If the footwear you ordered does not pass inspection, we will send you an email notification that your order has been cancelled. Your credit card will not be charged. Where can I find first quality merchandise? 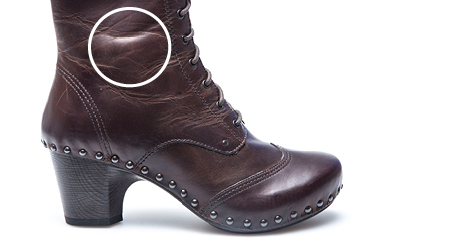 Visit Dansko.com for our full list of Dansko Authorized E-Tailers and Retailers.